Everyone needs a little side cash now and then. Many people who are interested in juggling a side-gig turn to rideshare programs like Uber or Lyft in their spare time, putting their car and smartphone to good use. But what if you’re not super thrilled about transporting strangers in your vehicle or the idea of having to provide excellent customer service? There is another rideshare program that not a lot of people know about, and it’s called Amazon Flex. …but it’s a good way to earn some cash on the side to pay down debt or support that craft beer habit. 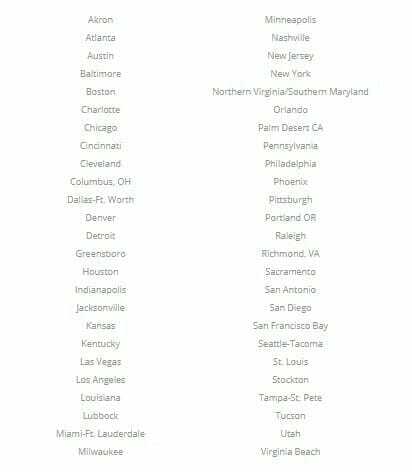 Amazon Flex is a rideshare opportunity that allows you to earn money by delivering to Amazon customers in your city. You perform the “last-mile” delivery, which means you help Amazon deliver its packages from its regional centers to customers. The program is currently available in more than 50 cities across the nation and has continued to grow to new locations since it debuted in 2015. The program operates similarly to Uber, Lyft, or Postmates in that you conduct all your business through the Amazon Flex app, and can make your own schedule. The Amazon Flex app houses all of the information, directions, and schedules you need to pick up Flex shifts, get delivery routes, and scan packages. Through Amazon Flex, you will be responsible for delivering packages or food through a number of services, including Amazon.com packages; Prime Now, which offers packages delivered within a one to two hour window; AmazonFresh, a grocery delivery service; and Amazon Restaurants, where customers can order food from their favorite local eats and have you deliver it within the hour. They’re also experimenting with Amazon Ninja, an on-demand Samurai-ordering program in case you’re up against unfathomable odds. Kidding! But there are so many money-making opportunities with Amazon Flex that you shouldn’t have a problem picking up extra work. To earn money, you can pick up “blocks,” or shifts, during which you are required to pick up and deliver packages. You’ll get paid by the hour and can schedule blocks as often as they become available, whether it’s in the morning, afternoon or evening—seven days a week. Once you are scheduled for a block, the Flex app tells you where to go, what to do and how to do it. You’ll pick up packages at a specific location, load them up and hit the road, dropping off packages at houses in a particular area until you’ve delivered them all. Amazon Flex pays its delivery drivers between $18 and $25 per hour. The pay for each shift is fixed, meaning you make the same amount per hour, but the amount each block pays will vary based on your region, the time of day and the number of packages you can carry at one time. Some drivers have noticed that block payments tend to increase during bad weather, around the holidays and in the evenings. One thing that many Amazon Flex drivers like about this job is that they know exactly how much they will make before they schedule a block. This makes it different from other rideshare programs that don’t guarantee income. You will earn the entire shift amount no matter how early or late you finish delivering your packages—if you’re scheduled for a three-hour shift, but finish it in two, you will still get paid for three. Drivers can also earn tips while delivering some packages on Prime Now, AmazonFresh and Amazon Restaurant shifts. Customers can add tips within 48 hours of their deliveries, 100 percent of which will be added directly to your pay. You’ll be paid twice a week—on Tuesdays and Fridays—through direct deposit. Occasionally, Amazon will even offer its drivers bonuses or incentives. One thing to remember about Amazon Flex is that you will not be considered an employee of the company, but rather an independent contractor. Thus, you will be responsible for withholding taxes on your own and will not receive any benefits from Amazon. You are also responsible for paying for gas, tolls, parking fees and wear and tear on your car. If you drive a gas-guzzler or an unreliable vehicle, this job might not be right for you. To sign up for an Amazon side gig, you can head over to Amazon Flex or download the Flex app through the Google Play or App Store. The web page or app will prompt you to answer a few questions about your region, the vehicle your drive and your contact information. If opportunities are not available in your region or your region is not yet served by Amazon Flex, you have the ability to add yourself to a waiting list to be notified of future opportunities. If not, don’t worry, there are so many other side hustle opportunities you can explore. With open opportunities in your area, you can continue to sign up by providing your Social Security number and consenting to a background check. Four-door vehicle: Amazon requires drivers to use a four-door, midsize sedan, truck or van to deliver Amazon.com packages. Smaller cars will not be able to hold enough packages for normal deliveries but may be eligible to deliver for Prime Now or Amazon Restaurant. Larger vehicles also have the ability to earn you more money. Additionally, some locations allow delivery via bicycles with baskets. Be at least 21 years old: Drivers must be at least 21 years old and hold a valid driver’s license. Own a smartphone: Because all your business is conducted through the Amazon Flex app, drivers must own a compatible smartphone. If you don’t have at least an iPhone 5 or Android phone running Android 4.4 or newer, you won’t qualify. Pass a background check: Amazon will process your background check within two to five days and will verify that you don’t have a history of felonies or other major criminal offenses in the last seven years. Charges of theft or violence will automatically disqualify you. After all the above is verified and you clear the background check, you will likely be hired to drive for Amazon Flex. Before you begin, you must watch a series of instructional videos that will teach you how to properly deliver packages. Once you’ve completed the initial steps, you can begin scheduling blocks. One of the most appealing parts of Amazon Flex is the flexibility it offers in terms of working shifts. The app will provide you with available “blocks” of time you can work, and you simply lock yourself in for specific blocks throughout the week. Block lengths vary, but will typically range between one and two hours for Prime Now, Amazon Restaurants and AmazonFresh deliveries, and three to six hours for Amazon.com deliveries. Offers: The Flex app will periodically reserve blocks for you based on the availability you provide. You can review these offers and accept or decline as many as you want, but note that they do expire. Available blocks: The Flex app is routinely updated with blocks available up to 24 hours before the shift starts. These are available to everyone in your region and are provided on a first-come, first-served basis. A common complaint by drivers is picking up shifts can sometimes be difficult. This is due to a shortage of available blocks. For this reason, we don’t recommend you rely on Amazon Flex as a full-time job. It is a good way to supplement your current income. When you lock in for a shift, the app will remind you one hour prior and provide you with the pick-up location. Once the shift starts, it’s time to hit the road. Delivering through Amazon Flex is a very simple process. You are led entirely through the Flex app, which serves as a hub of information and the way you confirm each delivery. Your block will begin by arriving at the pickup location, which may be a distribution warehouse, a restaurant or local store. An attendant will have you scan an individual QR code to check in and provide you with all your packages for the shift. You must scan each individual package using the app and load them into your car before heading out for delivery. The Flex app provides you with routes for your delivery, including the order in which your deliveries should happen and directions to each location. These routes are options. However, can be quite helpful if you don’t know your way around. You will be required to stop at each location, scan the package and confirm its delivery. You do this by taking a photo, checking off its delivery location or selecting the recipient in the app. If you are unable to deliver some packages due to delays or other issues, you must drop them back off at the pickup location at the end of your shift. Amazon Flex also offers support to its drivers if there are problems during a shift. Some deliveries will have specific requirements, such as attended delivery (which requires the recipient to be there to take the package), alcohol (where you will need to verify the recipient is 21 or older) and chilled or frozen goods. Each block will vary in the location and number of packages you need to deliver. You could be responsible for up to 70 packages in a single block. One driver experienced two drastically different shifts in his time as a driver for Amazon Flex. Using the Amazon Flex support through the app is the best way to mitigate problems while on shifts and to avoid deactivation. Overall, Amazon Flex is a great way to earn some cash on the side by capitalizing on a few chunks of free time each week. 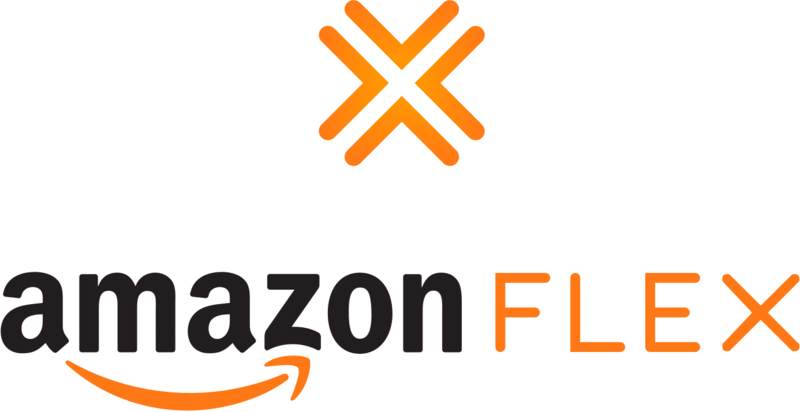 If you’re interested in driving for Amazon Flex, head over to the website to check out the opportunities and to learn more about the program.